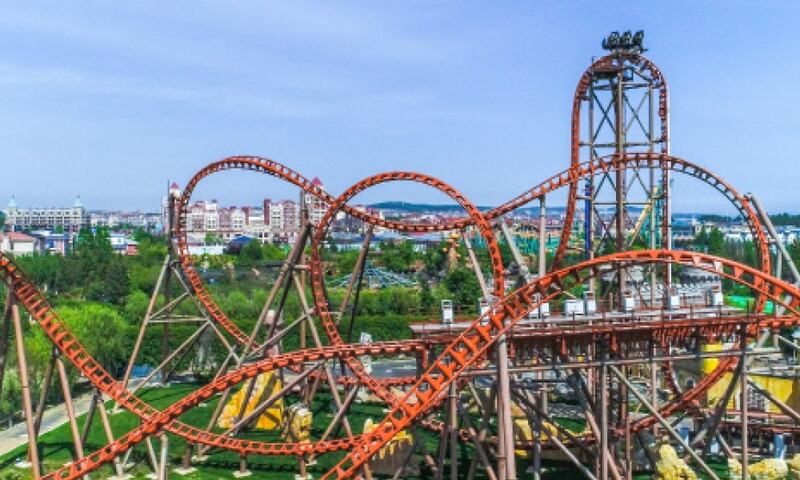 The third example of Zamperla’s Thunderbolt roller coaster is now thrilling guests at Dalian Discovery Kingdom in China. 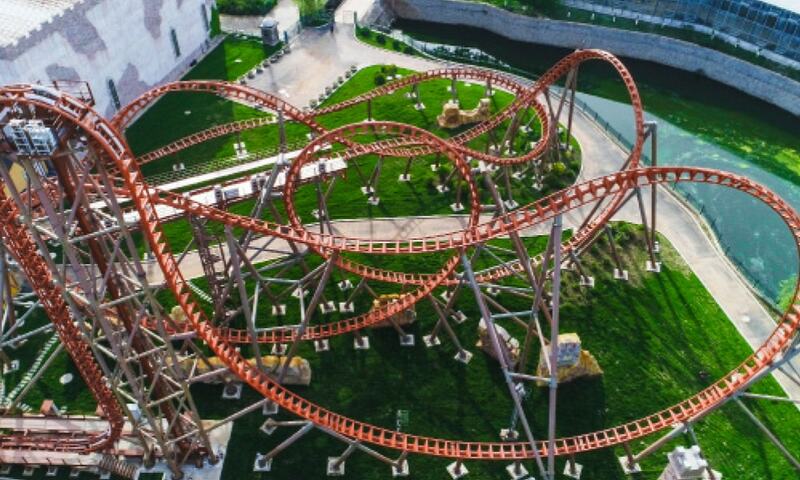 The park covers an area of 470,000sq.m and is divided into six themed areas – Crazy Town, Mysterious Desert, Metal Factory, Magic Forest, Legend Castle and Wedding Palace. The zones are clustered around a central lake and in total the park features approximately 20 attractions. 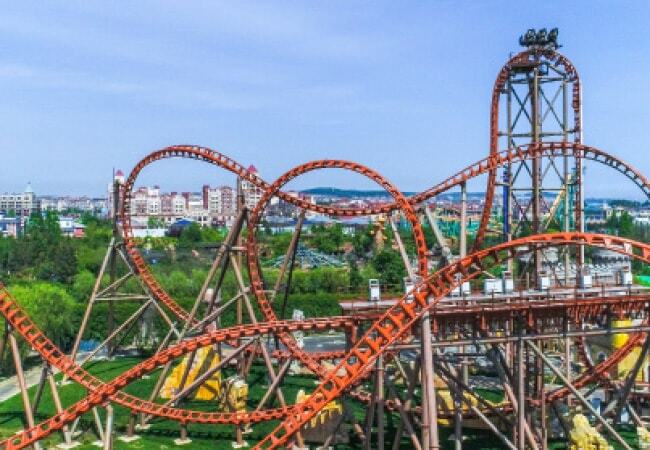 Recently, Dalian Discovery Kingdom added a brand new area, the central attraction of which is the Thunderbolt coaster, Zamperla’s top roller coaster. Featuring a different layout to the first version, the ride’s footprint is 107m x 71m and it incorporates a 675m long track packed with a variety of elements which are sure to make it a hugely popular addition with guests. 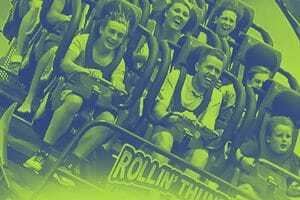 Maximum speed on the ride is 85km/h and passengers are seated in one of four, nine-seater vehicles. To add even further to the experience, the park has created a specially themed area around the ride, with a magnificent castle that incorporates the full coaster track. And this is not the only new Thunderbolt we are pleased to reveal. Along with another for Mason Robotland in South Korea, a fifth example of the ride is also due to open in 2019 in Mundo Petapa in Guatemala.